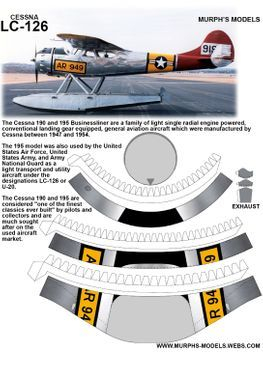 The Cessna 190 and 195 Businessliner are a family of light single radial engine powered, conventional landing gear equipped, general aviation aircraft which were manufactured by Cessna between 1947 and 1954. 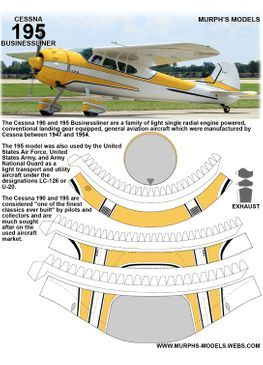 The Cessna 190 and 195 were Cessna's only postwar radial-engined aircraft. 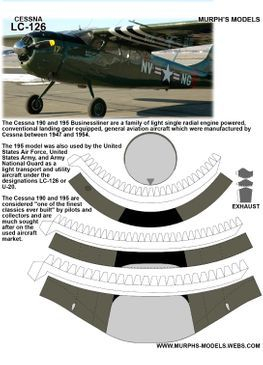 The first prototype flew in 1945, after the end of World War II and both the 190 and 195 entered production in 1947. 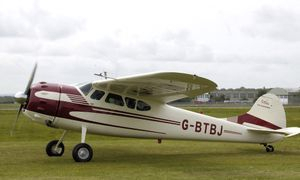 The 195 was the first Cessna airplane to be completely constructed of aluminum and features a cantilever wing, similar to the pre-war Cessna 165 from which it is derived.